Today I decided to really examine my Nikon D600’s sensor for the dreaded oil and dust spots issue. 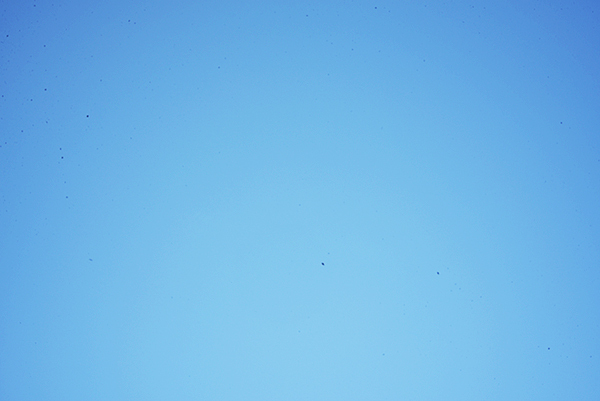 I went outside—used manual mode—and shot a blue sky picture at f/22. I found a large quantity of dust spots on the sensor. Therefore, I realized that I had been bitten by the D600 Oil & Dust bug. With pain in my heart—due to the fact that my warranty had expired on 09/18/2013—I called Nikon Technical Support (1-800-645-6687, https://support.nikonusa.com/app/contact) and told them my tale of woe. The service tech asked me if I had tried using a blower to blow the dust off, and I told her I had used a blower a time or two. Thank you for submitting your question and I’m sorry to hear you are having problems with your Nikon camera. In order to properly diagnose the issue please update this incident (using the link below) with one or two unedited sample images showing the problem; we’ll take a look and let you know what we think. It’s important that original, unedited images be sent. If you must resize the images only do so in a Nikon program as other programs remove important embedded information. After we’ve reviewed your samples we’ll contact you with more information. Your reference number is [CENSORED]. I went to the Nikon support site, uploaded my pictures, and I am now awaiting another email containing approval, return authorization, and shipping labels. I will update this blog entry as this case progresses and keep you up to date with Nikon’s solution to this problem. So, far, the response from Nikon has been very professional. I am satisfied and will remain so if the problem is resolved. Check back soon for an update. Thank you for calling Nikon. I am sorry to hear about the problem you having with your camera. You should be receiving the shipping labels within 24 to 48 business hours. Below is the link to schedule your repair on line along with the step by step instructions on how to send your Nikon product in for service. The reference number for your call is [CENSORED]. If you need any further assistance please do not hesitate to contact us again. Now I am awaiting an email with shipping labels so that I can send the camera in for—hopefully—a shutter replacement. I’ll also have to go to the provided link and schedule the shipment. By the way, while waiting for Nikon to contact me, I checked to see how many pictures I had taken with this particular Nikon D600. I uploaded a NEF file to http://www.myshuttercount.com/ and was informed by that handy service that my Nikon D600 has 1987 shutter firings. This clearly shows that even a newer D600, with low mileage, is suspect. 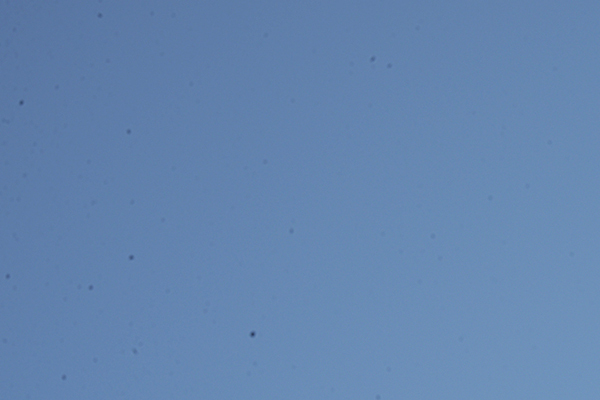 If you have a D600, go now and check your camera’s sensor for spots by taking a picture of a blue sky at f/22 and then examining the image on your monitor at 100% view. Nikon seems willing to help, even when the camera is out of warranty, like mine. However, I wouldn’t wait long if you have a similar situation to mine. It appears that Nikon has acknowledged my problem and is ready to repair the camera at no cost. Check back soon for an update. In their last email, Nikon told me that they would send me a prepaid shipping label within 24-48 hours. I waited four months and the label did not arrive in my email. 🙂 I was so busy writing a new book that I just dropped the ball, but so did Nikon. Please see the attached pre-paid shipping label to send in your D600 for service. 1) Please print the attached PDF file to attach to your shipping box. 2) Pack your equipment carefully in a shipping box with several inches of a quality packing material completely around the equipment. Please do not ship products in their original boxes. Accessory items, like straps, should be removed. 3) Enclose a letter explaining the reason for returning the equipment and your return mailing address. 4) Call UPS at 800-742-5877 or visit http:www.ups.com to locate an office in your area. If you choose to have UPS pick up your package at your residence or place of business, you will be responsible for any additional charges UPS may apply. I packed up my Nikon D600, attached the label, and dropped it off at the UPS store. It will arrive at Melville NY on Friday (Feb 28th). I am looking forward to getting my D600 back from the camera hospital. In the meantime, Nikon issued a worldwide Technical Service Advisory that proclaimed their willingness to fix any and all Nikon D600 cameras with dust & oil problems, at no cost, even if out of warranty! If you have a D600 with the problem, click this link and get your camera fixed at no cost. Now, I am playing the waiting game to see how long this process takes and how the camera does when it is returned. I will be back with more information soon. I received email from them last week with the same information; therefore, I suppose they are simply being thorough. They’ve had my D600 since February 28th, so it has been a little over a week. I expect to see my D600 in only a few more days. This saga is nearing an end, I hope. 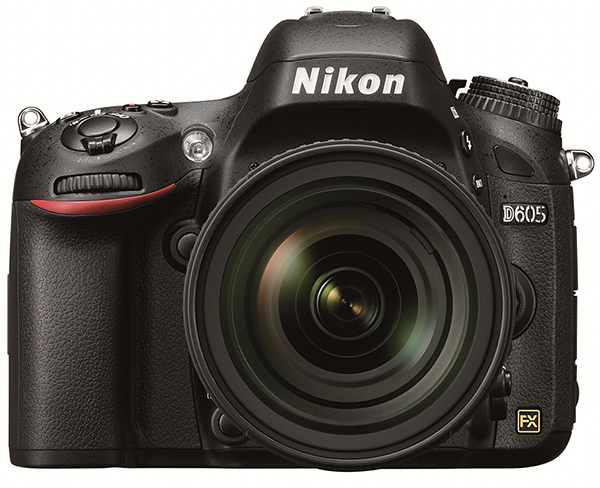 In only a few more days my beloved Nikon D600, with its better than Nikon D3X image quality, will be back. Oh the party I’ll throw! Wanna come? My Nikon D600 (or 605) arrived today and looks like new. The sensor is spotless, all dust has been removed from the camera everywhere, and it even smells like a new camera (maybe that’s wishful thinking, except that it really is only a little over a year old). I have no idea what “related parts” were required, but in addition to the shutter assembly, six other parts were replaced. I suspect it has been well tested. Time will tell. I am very happy with Nikon’s service. They treated me well and fixed my camera with expert care. I will test it and report back here if any other problems are detected, but for now, I am very satisfied. My beloved D600 is back! Darrell. Sorry to hear this. I have followed your journey with the D600 and I am shocked to see the dreaded oil problem, more especially as you have had your D600 for over a year. This is worrying as many owners feel that if it hasn’t developed after a good time, the issues not going to affect them! When using your camera and using it as the tool to write your book “Mastering the Nikon D600), a lot of shutter activations must have occurred with no apparent problems. This “out of warranty” issue you have will obviously worry current owners as it to me does not differentiate between use and age. I am pleased to hear that Nikon are acting professionally and long may that last, however I wonder what may happen when owners cameras exceed 2 years and then the dreaded spots arrive? Good luck and I look forward to your updates. I noticed my oil spot problem after doing some rapid-fire shooting of hummingbirds. I could see when the spot appeared, and I could see it get larger frame by frame. When I talked with someone at Nikon, he said sensor cleaning was not covered by warranty. This was in the summer of 2012. After plunking down $75 for shipping and cleaning (and a crappy job of cleaning), I decided to wet clean my sensor myself henceforth. I read with interest your plight as well as the comments here posted by others. I am glad to see Nikon finally acknowledges the dust problem of the D600. I agree that they are handling your issue much better than I’ve read others being handled. I purchased my D7100 and found a few “bunnies” on my sensor. I chose to look into the copperhill method as suggested in the forums and figured I’ll clean my D70s 1st then go at the D7100. Proceeded slowly and was surprised how simple it really is to do. Just wanted to remind you of the alternatives if needed in the future! Wish you continued good luck with your dealings with Nikon. They have ben known to be less than stellar at times! Looks like normal dust, not oil to me. I’m not sure that is unusual. Evidently, Nikon thinks it is abnormal because they are having me send in the camera for “repair.” I am updating the blog to reflect the new information from today (October 29, 2013). My D600 showed that amount of spotting in my first couple weeks with it. For now, I am able to clear it with a blower. I’m glad to hear Nikon is treating the issue so professionally (potentially). I will probably send it in sooner than later. Now that the Technical Service Advisory I mentioned and linked to in the article has been issued, anyone with the dust & oil problem might want to consider having Nikon fix your camera at no cost. « Too Many Cameras, Too Fast!